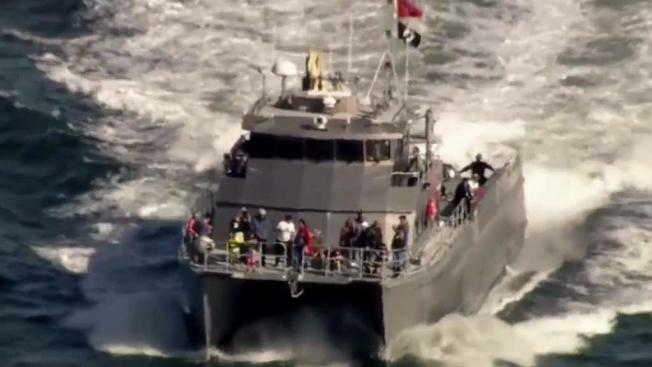 Security in San Francisco – on land and in water – is being boosted on the cusp of Fleet Week. Pete Suratos reports. Security in San Francisco – on land and in water – is being boosted on the cusp of Fleet Week. The event known for the parade of ships and Blue Angels air show attracts millions of visitors every year, generating over $10 million in revenue for the city. However, the large crowds taking it all in means a bigger emphasis for on safety and security. Officials are encouraging people who climb aboard boats to wear a life jacket and watch their speed. The San Francisco Police Department will also be patrolling the bay for intoxicated boaters. The U.S. Coast Guard will be working closely with law enforcement agencies on many fronts, including potential terror threats. The San Francisco Fire Department will have its rescue water craft on hand and team fully staffed for help. Officials have warned people to stay away from cliffs and designated trails. Fleet Week's events will take place at Marina Green in San Francisco, starting Tuesday. The parade of ships and air show will take place on Friday. More information on Fleet Week can be found online.